The spread of cancer from one part of the body to another part or to the lymph nodes, which are not directly linked to each other is called cancer metastasis. Cancer is considered as a deadly disease mainly because of its ability to spread inside the body. This metastasis takes place through the blood stream or the lymph system and it mainly effects brain, liver, lungs and bones. The metastatic cancer cells does not resemble the feature of the cells where it was found but it resembles the primary cancer cells which is considered as a next stage of the primary cancer cells. All metastatic cancers are considered as advanced cancers. The cancer survival and treatment is influenced by whether the cancer cells are localized or spreads to other parts. When the cancer starts to spread it is very difficult to control. Even if the treatment is continued, it will be only palliative care. The pain killing will be mostly by Anti-cancer drugs i.e. chemotherapy. Cancer Management is a multidisciplinary approach that deals with the various type of cancer complications and its preventive measures. 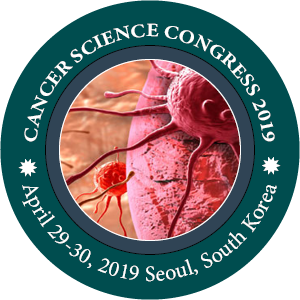 Cancer Conferences is an important key for both educational and clinical guidance for managing cancer patients.